No true geek can resist the power and precision of numbers. But when daily calculation becomes a drudge, how about an ingenious device to ease the pain of repetition? 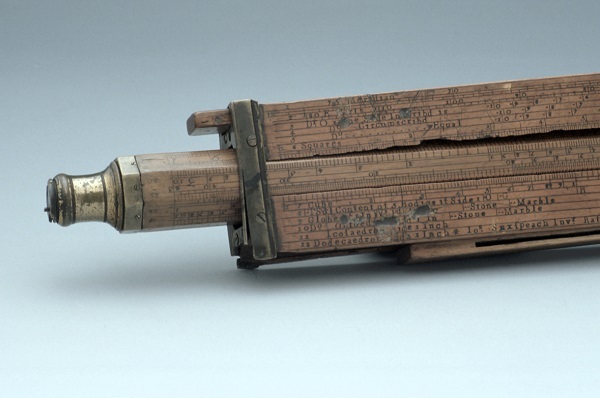 One of the most successful instruments of calculation was the slide rule. Devised in the early 17th century it was used for professional, engineering and scientific calculation for the next 350 years. Almost every industry came to have its own specialised version, from navigation and building to electronics and the calculation of nuclear radiation. Even the most sophisticated of scientific slide rules were eventually killed off by electronic calculators in the 1970s. These emerged from the development of computing. For hundreds of years, computers had been people rather than machines. The first plans for computing engines were drawn up in the 19th century and the 20th-century success of computing has been central to geek identity ever since. Copyright (c) Museum of the History of Science.